The PALP is located in Pontedera, in the heart of western Tuscany, 15 minutes from Pisa, 20 from Livorno and 40 from Florence. To reach Pontedera by car, take the FI-PI-LI highway (a major road linking Florence, Pisa and Livorno) and take the Pontedera exit. The FI-PI-LI is connected to the A1 motorway where you can enter directly in Florence: once you are on the freeway, follow it in the direction of Pisa-Livorno after about 40 km there is the Pontedera exit. Arriving from the A12 Genova-Rosignano motorway, to enter directly in FI-PI-LI, exit at Pisa Centro: once in the freeway, proceed towards Florence for about 20 km and take the Pontedera exit (caution) : from Pisa, the exit to take is not Pontedera-Ponsacco but the next one). Once out in Pontedera, follow the signs to the center and park near Corso Matteotti. To reach Pontedera by train you need to get off at the F.S station. Pontedera-Casciana Terme. The Pontedera-Casciana Terme station is on the Pisa-Florence route, about 15 minutes from Pisa and 40 from Florence. To get from the north or from the south you need to reach the Santa Maria Novella station by fast trains: from Florence SMN there are trains to Pontedera every 30 minutes. Arriving at the station of Pontedera, the PALP can be easily reached on foot in five minutes by exiting the main exit of the station and walking towards the center. The nearest airport to Pontedera is Pisa’s Galileo Galilei which is about a 15-minute drive away. The Galilei is adjacent to the highway FI-PI-LI in which you can directly get out of the airport. Once in FI-PI-LI, follow it in the direction of Florence and exit at Pontedera. 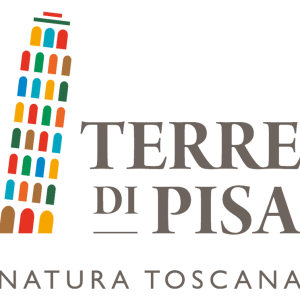 Otherwise, from the airport it is possible to take the Pisa Mover public transport that connects to the Pisa Centrale station: from Pisa Centrale a train leaves for Pontedera approximately every 30 minutes. The works of "La Trottola e il Robot. Tra Balla, Casorati e Capogrossi"